We have 2 state of the art 5-Axis CNC trimming machines/cnc routing machines which supplement the Vacuum Forming process. 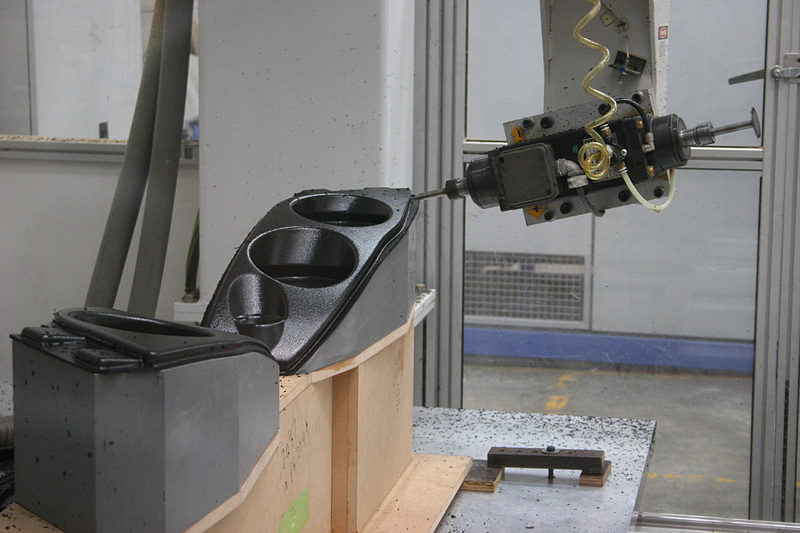 After a part has been formed it can go onto one of our CNC 5 axis machines which can cut an array of details into the part. This can include cut outs for fasteners, slots, air ventilation, perimeter trims and other design details. The table size is 3000mm by 1500mm and the cutting head has two spindles so a saw blade can be used to trim the perimeter and a router bit can be used to cut more intricate details. Utilising saw blades and router cutters the excess material can be trimmed away and high tolerance details can be trimmed into the mouldings. CNC trimming ensures consistency and speed which in turn benefits our clients through lower costs and high quality plastic components. 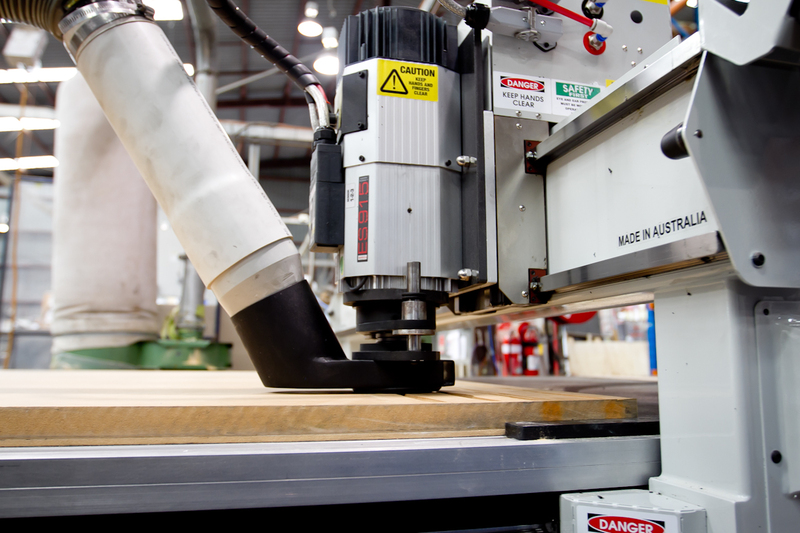 Our 3 Axis CNC machine is ideal for CNC cutting and engraving flat plastic sheet as well as an array of other materials like aluminium and timber. We can cut thin and thick gauge sheets up to a whopping 6300mm x 1800mm from as thin as 0.5mm all the way up to 30mm thick. You can even start your order online by choosing your material and uploading a DXF or other CAD file on our materials page. We can cut a range of plastic materials like Acrylic/Perspex, ABS/ASA, Polypropylene, Polycarbonate, PVC, HDPE and aluminium composite panels (also known as Villabond, Dibond, Willstrong, Reynobond, Alucobond and Plascore. The machine also has a floating head meaning that we can get a consistent engraving height even if there are variances in the material thickness. 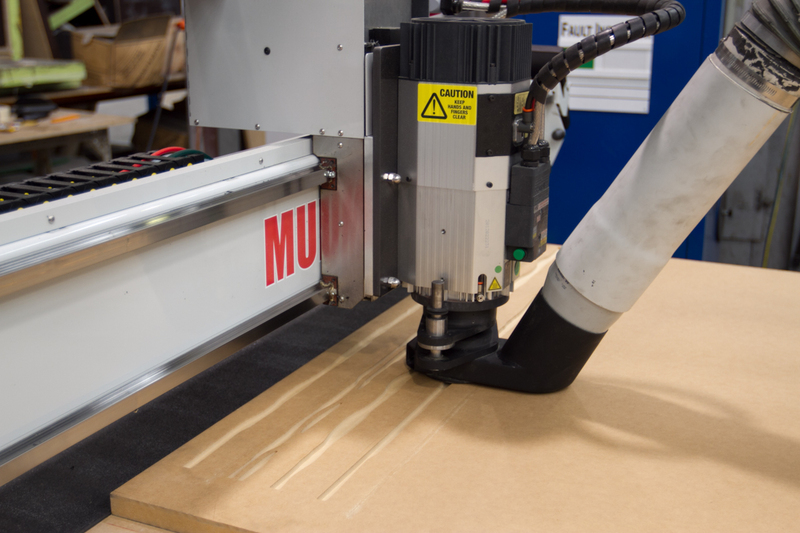 Equipped with an oscillating knife the CNC machine can cut a diverse range of materials that can’t be cut with traditional CNC routers. This includes corrugated plastics like Corflute, Polyflute, Proplex and Coroplast but also graphic foam boards, closed cell foams, gasket materials, rubber, cork, carpet, felt, fabric and vinyls. The oscillating knife is fast and leaves a nice clean edge. Simple two dimensional vacuum forming tools can be constructed on the 3 axis machine as well. There really is a whole range of possibilities with this modern machine even metal plate engraving utilising a 1mm drill bit to an accuracy of 0.1mm up to large scale cutting of aluminium/foam bus and truck side panels! 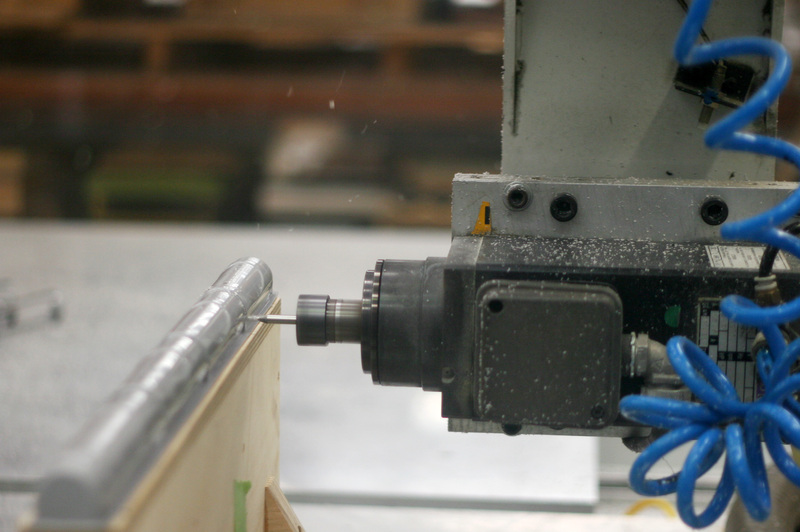 Please contact us to learn how our CNC trimming/CNC routing process can be utilised for your project.